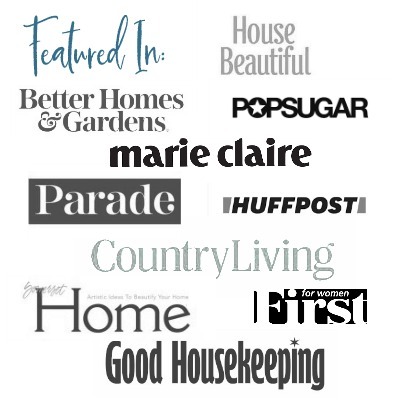 I am delighted to join a group of very talented bloggers who are sharing their own creative homes in a fall 2015 home tour blog hop. Starting today and continuing through Monday, we have lined up several interesting fall home tours, for your viewing pleasure. All from the comfort of your home. Fall just might be my favorite time of year. It’s so bright out and the air is crisp and cool. The warm colors of the changing leaves are so homey and it seems like there are so many activities and excitement going on. We’ll start at the very beginning. It’s a very good place to start. Have I got you singing yet? Here’s our front porch. I didn’t spend any money on this porch. Sometimes I like to challenge myself to see how many items around the home I already have when decorating. Then maybe I’ll add some crafted items or even purchase a few. This year’s limelight hydrangea were so full of flowers I hardly made a dent went I cut tons of blooms to make two front door wreaths. More details on the porch can be found here. In the foyer I gathered an old gourd bird house with a new mini pumpkin. My pineapple is usually here most of the year. I like to have it here to greet my family and guests because I had heard that it is a symbol of friendship and hospitality. An antique bowl holds a group of felted dryer ball pumpkins and scented waxed pine cones. Both are easy to make. This is a pic of our family room where we spend most of our time. I placed different elements of nature including bunches of dried herbs from the garden, acorns and some fresh and dried gourds. This dried orange, cinnamon and bay leaf garland adorns the front. Instructions on how to make this garland can be found here. The last room on the tour is our dining room. I kept the buffet pretty simple with a combination of fresh and fabric pumpkins. Do you love the blue-green Cinderella pumpkin? What a great color and so unique looking. Finally I re-used my old wooden box with candles and dried hydrangea for the centerpiece. A few pretty speckled and striped pumpkins tucked in here and there for added texture. That all my fall for now. Don’t forget to check out some of my friends tours for added inspiration. I’m already making notes for next year. A big thanks to Michele from Shelstring for organizing the tours. Check back from now through Monday for more. So pretty – those green and white pumpkins look so cool! Your home is gorgeous! I love the orange garland and your center piece on your dining room table. It was so fun to tour your home. Thanks Julie! I think the tours have all been so fun and I’ve felt inspired by everyone I see. I love your wreathes the are just stunning along with the orange garland, such great touches for your perfect Fall decor in your home. Just beautiful, Patti! The porch decor is my favorite – love it! You did a gorgeous job and fall should feel very welcomed at your place. Thanks Karen, you are so kind. Hope you are enjoying this beautiful fall weekend. Patti, it all looks lovely and I love the dried hydrangea centerpiece! Thanks Maria. I love to decorate with nature and since I have a lot of hydrangea blooms they are an easy choice. What a great job you’ve done pulling in all of the natural elements of fall! It’s always nice to meet another blogger who has a love of gardening and nature!! That’s the beauty of these hops. You get a chance to meet new people and be inspired by everyone’s creativity. Hi Patti! This is my first time stopping by and I just wanted to tell you how much I love your fall decor, it is spot on with my own personal style and taste! And that orange garland!!!!! I need that in my life! It’s always nice to find a kindred spirit. I’m going to stop over and see what you are up to. Everything looks wonderful! Love the arrangement on your dining table!! Thanks Lisa. I used the old box at Christmas and love it so much I’ve used it again but I think I’ll need to do something new at Christmas this year. Have a great weekend and thanks for stopping by. I’m in love with the Cinderella pumpkin. Loving the dried hydrangeas, too. Beautiful home! Loving all the little pumpkins! Our family room is where we spend 90% of our time so it’s nice to see other great family rooms. 🙂 Thanks for sharing your home Patti! Oh Patti! I love all your Fall ideas and creativity. Your orange garland on the mantel is amazing! Love that! Love love love those dryer ball pumpkins! Beautiful fall touches. I love all the warm touches in your home Patti!! Thank you so much for sharing. It seems we have similar taste ?…love it! Thanks for the kind words. Limelight is one of the easiest and worth trying especially if you live in a northern climate.